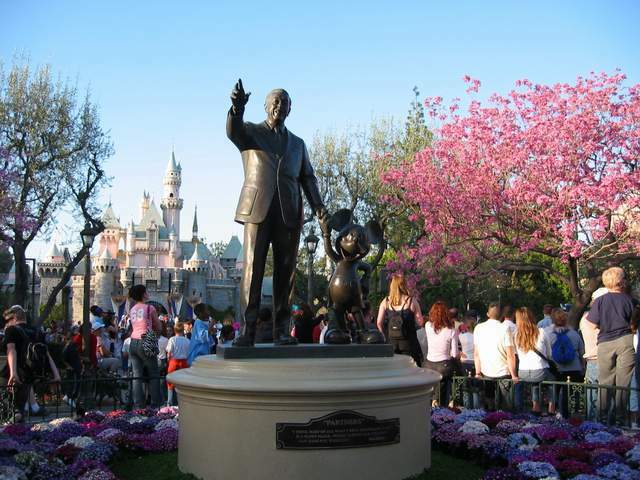 Just when you think you have seen it all, and there is nothing new you can learn about Disney’s original Magic Kingdom, Disneyland brings us the popular tour, Walk in Walt’s Footsteps, the story version. Back in June of this year, I took the new Cultivating the Magic Tour. Afterwards, I talked to the guides, and met Tyler, who told me that they were working on revising several of their tours, and also were coming up with some new ones. These tours would be ready by autumn. When he told me that the Walk in Walt’s Footsteps Tour was going to be redone, I was curious what the creative minds would do to make it different. 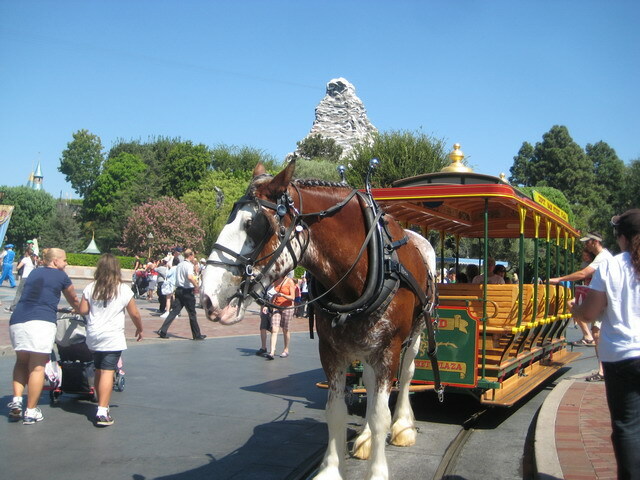 After all, I had been on this tour twice already – once in 2000 with my children as a Mom’s day gift to me, and again in 2008 as part of the first DIS Diva Trip (an annual weekend trip for the gals at Disneyland usually held early in the year). 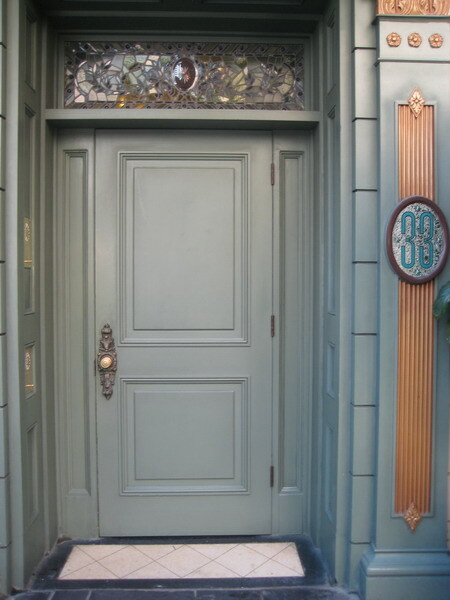 This tour has always been popular, one reason being that participants are able to get into the Club 33 lobby for a peek at this exclusive club. 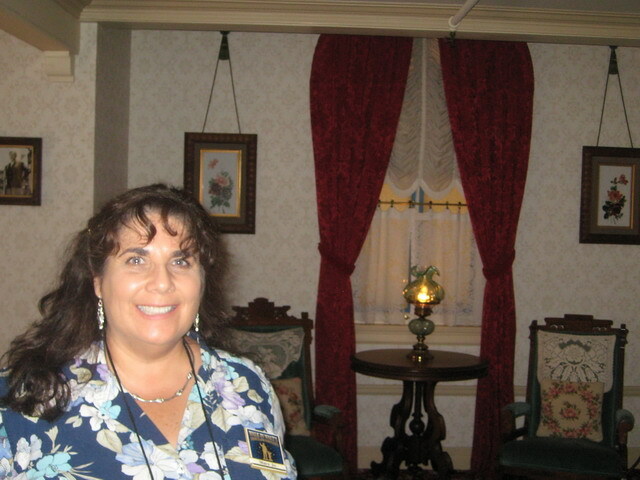 The buzz began to circulate that guests of the tour were also going to be able to go to Walt Disney’s apartment. This is such a coveted treat, and so I was a little surprised to hear that they were going to do it! 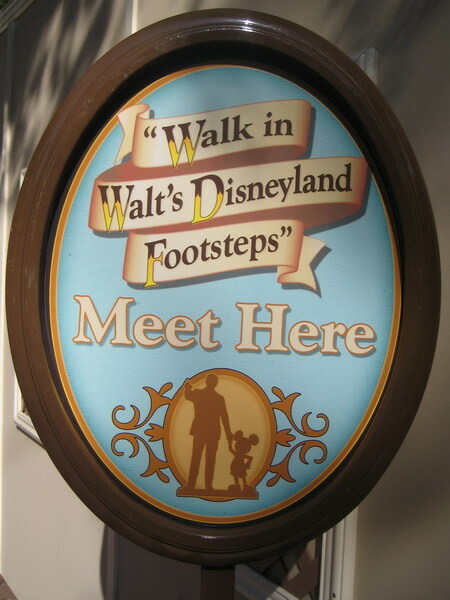 Walk in Walt’s Footsteps opened to guests on September 9th. I made my reservation, and I got a bit of a sticker shock because the tour pretty much doubled in price. However, with the incentive that people would be able to get into Walt’s Apartment, the tour was booking up pretty quickly, and the first day I could get into the tour was September 23rd. This was proving to be a very popular tour. Guests are asked to arrive early to check in, and so I arrived at Tour Gardens around 9:15 for a 9:30 tour. Disney cast members quickly and efficiently checked in everyone, giving us tour badges with our names on them, and taking down our addresses to send us something later. We also gave our lunch preferences right away. Choices included the following sandwiches: Caprese, chicken salad, or roasted turkey; or salads: roasted vegetable or Jolly Holiday. 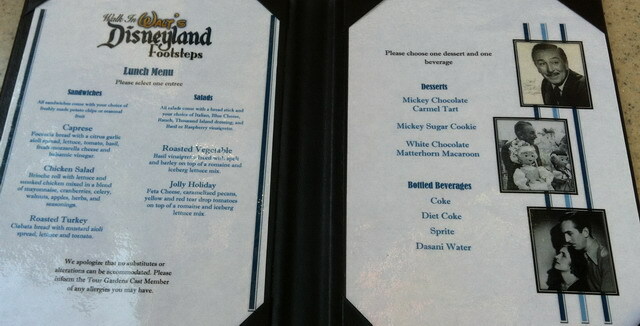 We could choose either freshly made chips or fruit, and our dessert choices were: Mickey Chocolate Carmel Tart, Mickey sugar cookie, or white chocolate Matterhorn macaroon. From what I could see, everyone chose the Mickey Chocolate Carmel Tart. Everyone chose their lunch from the menu here. 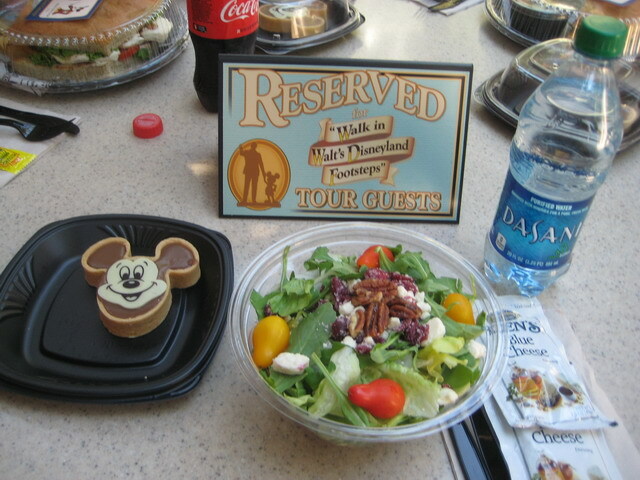 Once we chose our lunch items, the cast members handed us our audio equipment. I am really glad that we were given the equipment, as it made it so much easier to hear the guide as we walked around the park. Cast members give us audio equipment to use during the tour. 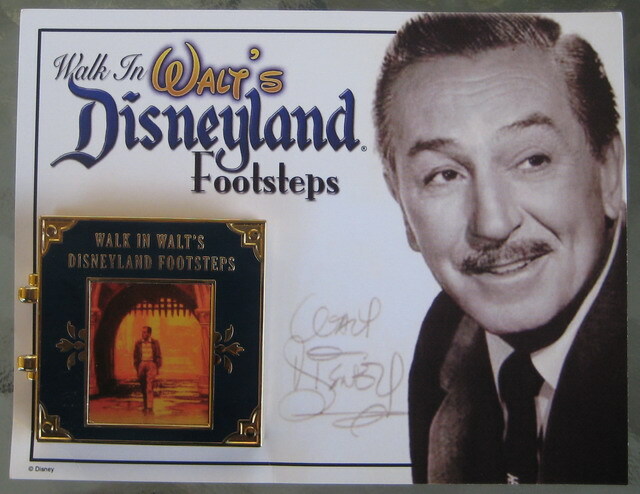 Walk in Walt’s Footsteps is a storytelling tour. Our tour guide for the day was Emily, and she really did a great job. She led us over to the Fire House, and with Town Hall and the train station in view she began telling us about a young boy who dreamed big. 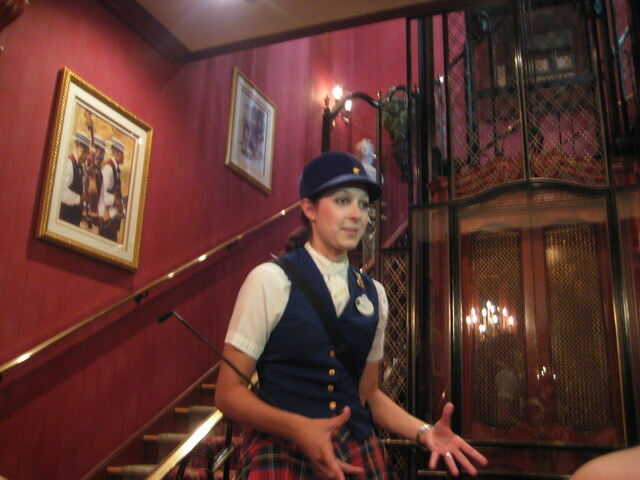 She told us about Walt’s love for trains, some of the antics he got into, and also about his admiration for Abe Lincoln. She also told us a bit about the influences of his childhood home and how he wanted to share the feeling these memories evoked when he had his Imagineers create Main Street, USA. From the Fire House, she then took us to the flag pole, and told us a bit more about Walt Disney, and then she played his opening speech, which we could clearly listen to via the audio headsets. Listening to Walt’s voice as he welcomed his guests on opening day, I could almost see him standing there, full of pride as guests stood around waiting to enter this park. 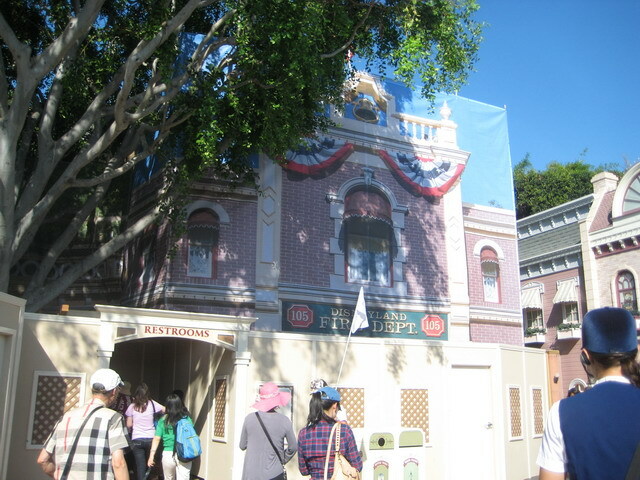 We then walked down Main Street, looking at the windows with famous people on them, like Elias Disney and Emile Kuri. While we walked down the street we listened to music and spiels from the attractions in the park. Our next stop was the hub, where the Walt and Mickey Partners statue stands. 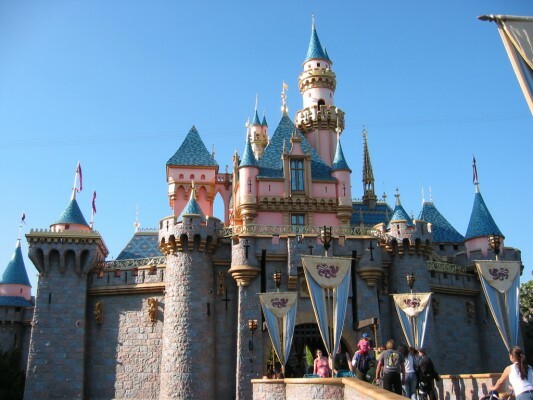 There, Emily told us a little more of the story, and how a new television station, ABC, entered the picture, sponsoring Disneyland in return for Walt Disney television shows, including a show about the new park Disneyland. Emily also told us how Walt designed Disneyland with spokes coming out of the hub leading to different lands. Each land had an icon that drew people towards it. I really enjoyed this bit of trivia, as we learned what Disney chose to be those icons. From the hub we entered Fantasyland, and heard about that first time in 1955, when Walt Disney had a crowd of children wait in front of the raised drawbridge. A knight came up on his horse at that time to call out for the bridge to be lowered. I had never heard this story before, and my mind immediately went to that day so long ago, eager faces waiting to explore a land full of fantasy just beyond that moat, behind the gleaming castle. 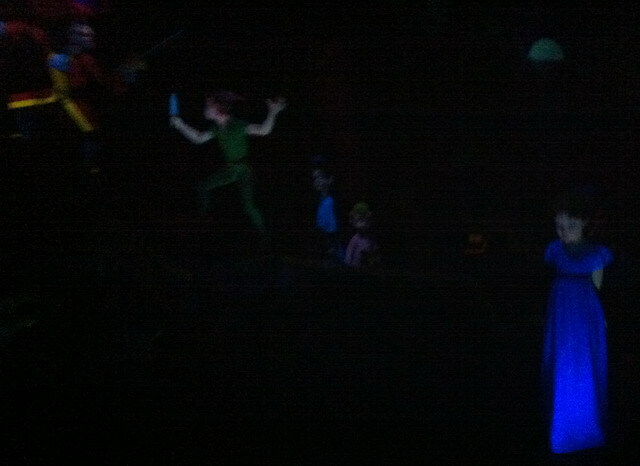 Once we entered Fantasyland we headed for Peter Pan, where our group split into two sections (we were the Roys and the other half were the Lillians) and we got to ride this popular attraction, without having to wait in line. Everyone was pleased, and I heard one person laughingly say that this alone was worth the tour. No flash photography – it’s much better in person! After Peter Pan, we walked along the back pathway to Frontierland. Emily stopped at the famous petrified tree and told us more stories about Walt Disney, Lillian, and their daughter Diane. We heard the story of the petrified tree, and how it came to be at Disneyland. I had known this before, but this time I learned more of the back story. Emily then took us to New Orleans Square. This was not an original land at Disneyland, and it was interesting to learn what movie was popular enough that Disney was able to use the revenue to build this area, along with its two very popular attractions. He had plans for this land, including a special apartment and club for his special guests. 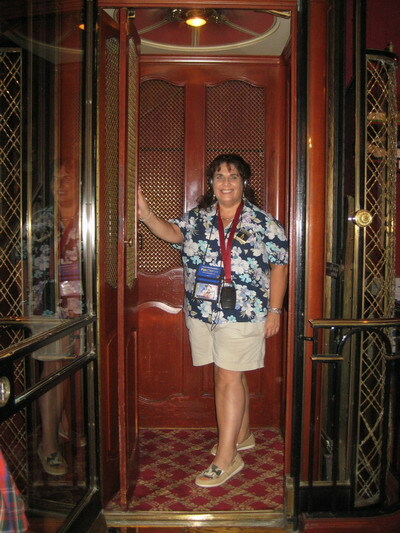 We were able to get a peek inside the lobby of the famous Club 33, and we even were allowed to stand in the elevator and take pictures. After visiting Club 33 we continued on to the New Orleans Train Station, learning more about New Orleans Square and the Haunted Mansion while we were there. We boarded the train and headed to Tomorrowland. In Tomorrowland, we stopped by Innoventions to hear more about the early days, and Walt’s vision when creating this part of the park. Again, I remembered the Disneyland of old, when Carousel of Progress stood there, and then later America Sings (I used to love singing those songs in that show). We heard fun stories about some of the attractions, including a story about a Bob Gurr incident while he drove an Autopia car. Having met him on one of the DIS Podcast cruises, I had to grin when I heard that story. We learned about the 1964 World’s Fair, and how out of five of the top attractions there, four of them were developed by Walt Disney. He had been asked if he could provide some attractions like the ones at Disneyland, and instead he used the opportunity to develop technology to bring Disneyland to a new level. 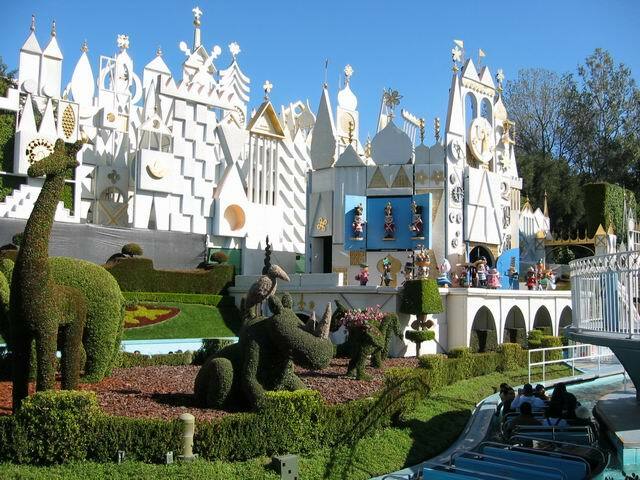 Four attractions were added to the Magic Kingdom after the World’s Fair, and we were able to experience one firsthand when we boarded the boats to ride it’s a small world. We made our way back to Main Street, where we visited the nicely air conditioned Opera House (very welcome on this hot day). We looked at some of the exhibits there, and learned some more stories about Walt Disney, his vision for Disneyland, Walt Disney World, and some of his last moments while in the hospital. I won’t go into detail, but at the end of this part of the tour, many of us were wiping tears from our eyes. We still had one more thing to see, and all of us were anticipating this part of the tour. Again, we were broken into two groups, and led through the door that would take us to that very special place that can only be found in Disneyland, Walt Disney’s apartment. There are so many things that go through one’s mind when climbing the narrow stairs and entering his apartment, and at first glance, many will think, “Boy, the apartment is small!” After that, though, there are so many details to look at. I asked where the hole would be where Walt used to slide down to the fire station, and was shown where it was (it was under me). Although we were not allowed to take any pictures ourselves, we were allowed to have a picture taken of us in the apartment with our own cameras. Note for those who have photopass, there was no photopass photographer there for an official Disney picture. I enjoyed this visit. We weren’t rushed, and any questions we had were answered, and we were also told stories about the Mouseketeers being up in the apartment looking down at the crowds on that day Disneyland opened. As a last touch, we were all given a pin to commemorate our visit. The pin depicts the lamp that shines perpetually in Walt’s apartment window, a symbol of his spirit and inspiration. After visiting the apartment we were taken to the Tour Guide gardens where our lunches, made by the Jolly Holiday Bakery, waited for us. Emily was very attentive, and stayed with us to chat, share trivia, and answer questions. 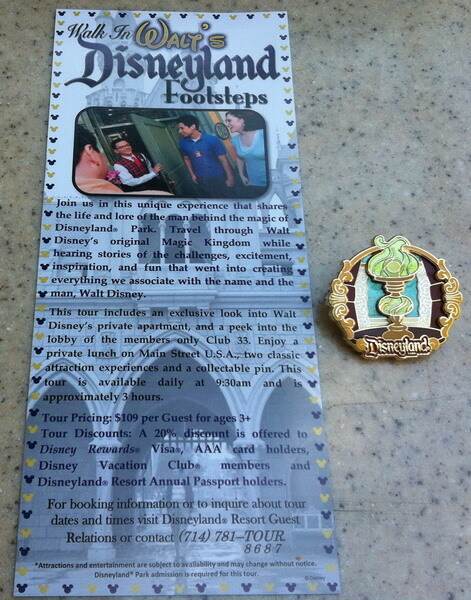 I really enjoyed the new storytelling Walk in Walt’s Footsteps tour. 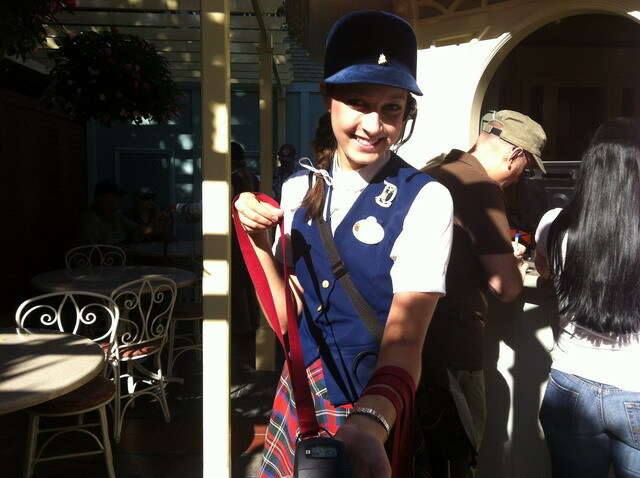 I had expected to go on a tour already knowing a lot of the details about the Disneyland Park. 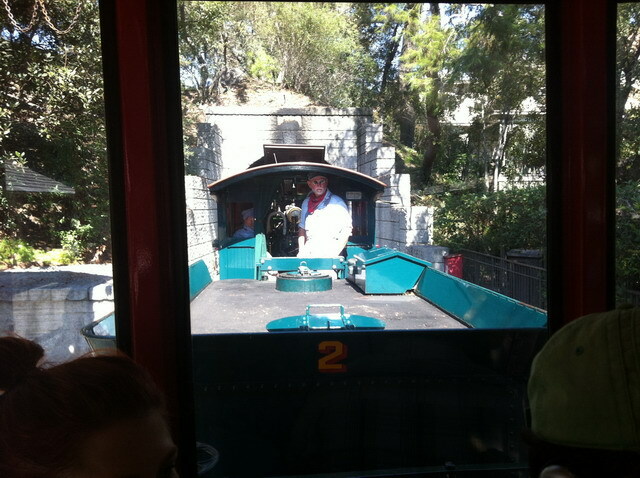 What I soon found out was that the tour is a new twist in looking at the park through Walt’s eyes. I forgot about the things I already know, and enjoyed the new things I learned. I purposely left out many of the details we learned so as not to ruin it for those who would like to experience it for themselves. However, I did review it in a recent podcast, and though I don’t give everything away, I do give some other details. Remember how we gave our address when we checked in for the tour? Well, I received a nice memento of the tour in the mail today. It is a postcard with a pin attached to it. The pin opens and inside are two speeches that Walt Disney gave, sharing his inspiration for dreams that do come true. The tour is given once a day at 9:30 am, and lasts for about three hours. It can be booked a month in advance, and costs $109. 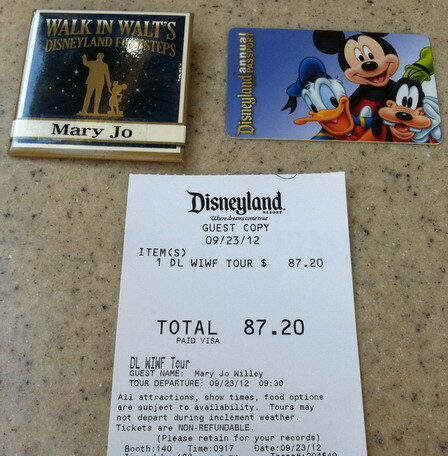 If you have AAA, an annual pass, a Disney Visa, or DVC membership, the price is $87.20. 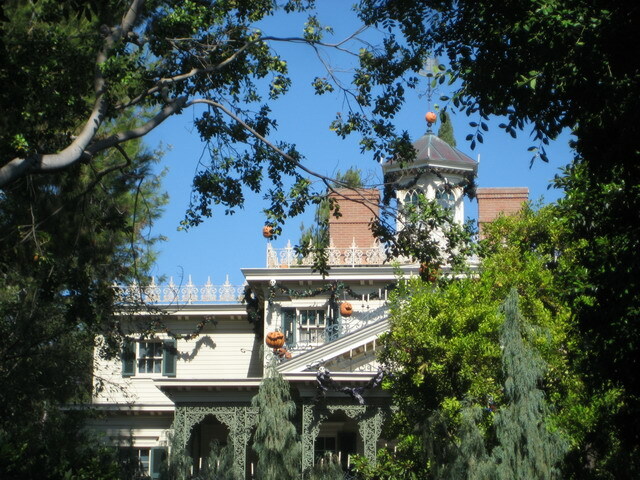 I recommend this tour for anyone who is interested in Disneyland, and would like an inside look at the life of the man who gave this magical kingdom to the world. Halloween Time Treats at Disneyland: No Tricks Required!